Paychex — Our bank representative at PNC (which we support because it’s based in Pittsburgh and is large enough to offer strong online banking services and lots of no-cost ATMs) gave our name to a Paychex rep, who had a satellite office in Center City on Market Street. Paychoice — A smaller, regional company that is owned my a medium-sized New England payroll services company. I was leaning toward Paychoice by virtue of it being a smaller, more local company, but I found it was actually owned by a larger, middle-sized New England company. Still, In my brief phone calls and interaction, I found the rep with whom I was dealing to be helpful, responsive and was recommended by a friend. She was based in the suburbs, though. TAKE AWAY: If I had found a smaller, payroll services company that was independently-operated and based in Philadelphia, I would wanted to go with it. …I didn’t find one. The prices were comparable — Though Paychex was a little more, I knew what I was getting with their well known services and the representative made some arrangements to keep it competitive for the first year. This Paychex rep’s office is a block away from our offices — I can knock on his office door if anything is screwy or I don’t understand. Since I’m new to the game, the security helps — Even for those who complain, I know of He reps for one of the big boys and has clients that we’re working with in our business. I got the blessing of people who know better — I started and ended the process by talking to anyone who had dealt with a payroll company. 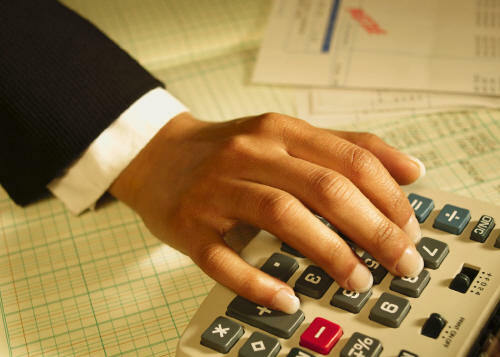 What is the per-payroll cost? : Whether you’re semi-monthly (24 payments on, say, the 15th and 30th day of the month) or bi-monthly (26 payments, every two weeks), you’re paying by the payroll cycle, so you start by knowing how much that is. It’ll be the lowest price and then other costs will be elsewhere. Who’s liable? : In most cases, you’ll sign a power of attorney to give the payroll services company the right to file taxes on your behalf. The company should be responsible if any taxes aren’t filed, from local, state and federal and anything in between. Are there setup and/or annual fees? : These seemed to be the first costs to get waived in a competitive environment in my short experience. How much are W2 and other yearly and quarterly reports? : There will probably be a base cost and a per-employee add-on. Can you lock in the price? : Payroll service companies are known for giving a cheap starter price and jacking it up later. Get at least a year and strive for two years guaranteed. I found most stopped at 18 months, meaning we’d be stuck in the middle. Do you think your rep is a decent human being? : It helps if you get along with the rep, who can take care of you and might be around. It was also important to me that I could find the representative. Got any referrals? : I didn’t talk to any reps without someone I knew repping them, so I knew there was a meaningful level of service. In a couple cases, I even called the rep’s own referrals, just so I could talk to other people. Can you put that in writing? : Anything your rep agrees to should either be in your original quote or an e-mail to be able to look back on. Most people’s opinions are worthless — Companies don’t wildly change payroll services, so, unlike, say, restaurants, people’s opinions tend to be limited to one or two companies. Therefore, I struggled to get consensus. Instead of using opinions as the end all, I used them to govern who I spoke to for a quote and moved from there.